Manicure Monday: Winter Collections Part 3 / Gee Whiskers! Mavala released the Paradox Colours Collection for Autumn\Winter 2012. 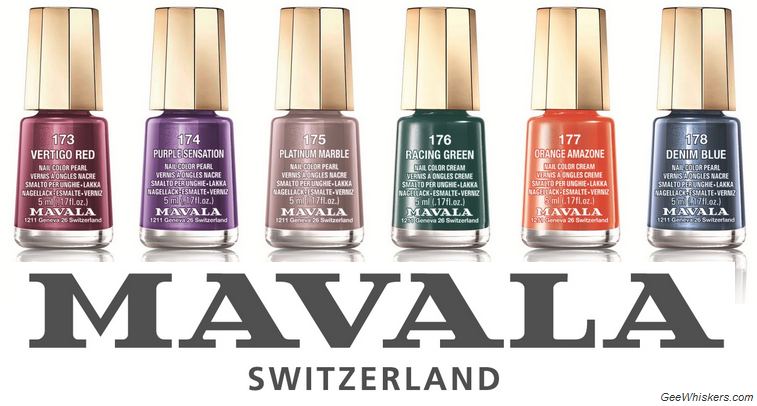 My favourite colours from the collection are Vertigo Red, Purple Sensation and Platinum Marble. 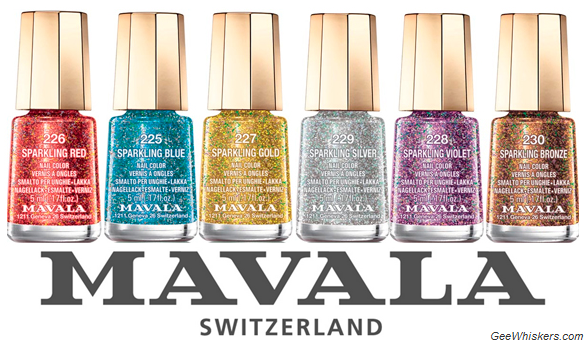 Mavala also has a Show Time collection out which is a range of beautiful glitters to add a bit of sparkle to your nails. I love the Sparking Violet. I always wonder why hardly any nail polish companies come out with a black glitter in their glitter ranges? I would definitely purchase a black glitter to add some fun attitude to my nails. These are awesome! Love the purple and the glitter blue. Nice choices, I think the 2 of them would actually work incredibly well with each other :) As always, thanks for leaving a comment!